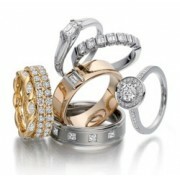 Diamond Rings	There are 265 products. Choose from the largest collection of fine diamond engagement rings in Edinburgh. Exquisite diamond rings at exceptional prices. Save up to 50% off high street prices at Macintyres. Each diamond ring for sale on our website has been hand-picked by our in-house diamond experts and is in stock & available to view or try on in our showroom, where we also have many more styles and loose stones to choose from. Design your own engagement ring with our state of the art bespoke engagement ring service (in-store only). At just 2.3 mm wide, this is one of the slimmest diamond set rings on the market. It makes an ideal wedding or eternity ring for those looking for something discrete but with a little sparkle tool from the 15 fully cut diamonds set into the channel. This ring is also available in white or yellow gold. Seven round brilliant cut diamonds with a total weight of 0.25cts in a cross over channel setting. Channel settings are very safe and make excellent eternity rings and diamond set wedding rings. They can ordered in a variety of diamond weights, numbers and metals. Please contact us for details. 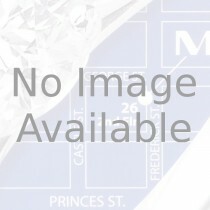 Platinum 3st Diamond Ring - 1.00cts.